In case you've been living under a rock somewhere, you'll have heard the news that a new novel by Harper Lee, author of the bestselling classic To Killa Mockingbird, will be released this summer. 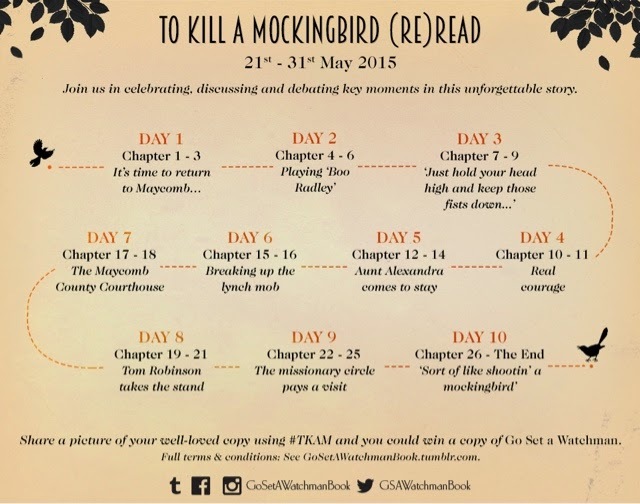 Go Set a Watchman catches up with Scout from To Kill a Mockingbird 20 years later, as she returns home to the town of Maycomb. And I'm betting I'm not the only one who remembers next to nothing about To Kill a Mockingbird, yet professes it to be a great book. So, the schedule for the (re)read is below, and I'm hoping by the end I'll be able totals eloquently and honestly about why this is a great novel. 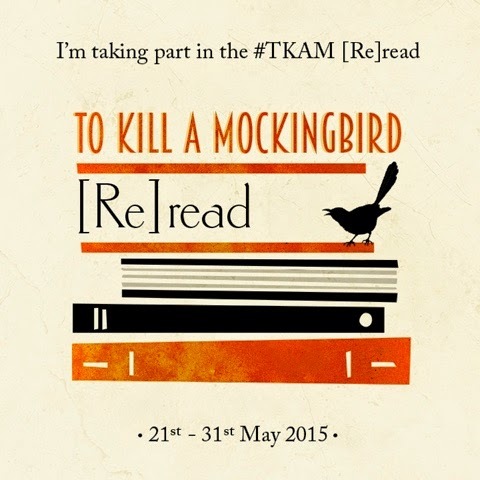 Join in if you like, using the hashtag #TKAM on all platforms.